This post is sponsored by Kashi. All thoughts and opinions are my own. 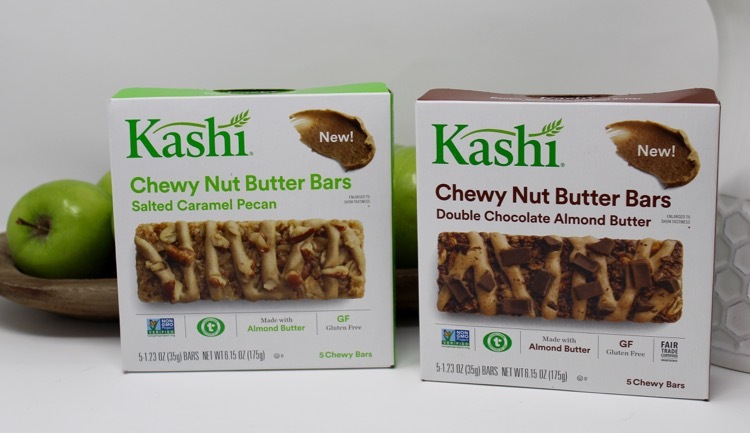 We love the Kashi Chewy Nut Butter Bars and I am happy to share that they have two yummy new flavors…Double Chocolate Almond Butter and Salted Caramel Pecan. If you haven’t given these bars a try yet, I recommend you do. 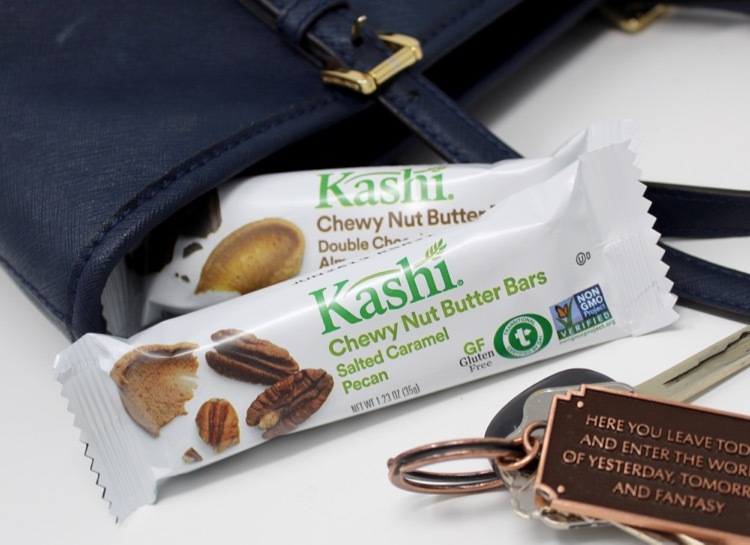 Kashi bars are the perfect snack for when you are on-the go. I like to keep a couple in my purse, so I have them handy for when hunger strikes. I often start my day with a Kashi Chewy Nut Butter Bar for breakfast. These Kashi bars are NON-GMO Project verified. 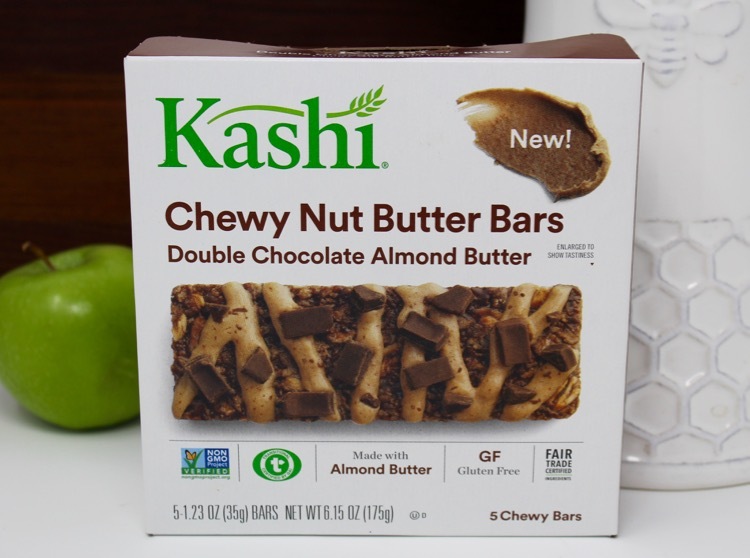 Plus, for those that eat gluten free, you will be happy to hear that the Kashi Chewy Nut Bars are gluten free (and yummy too)! I think the Double Chocolate Almond Butter is probably my new favorite flavor. The bar is made with Fair Trade Certified Ingredients and the chocolate is yummy! Double Chocolate Almond Butter NEW! 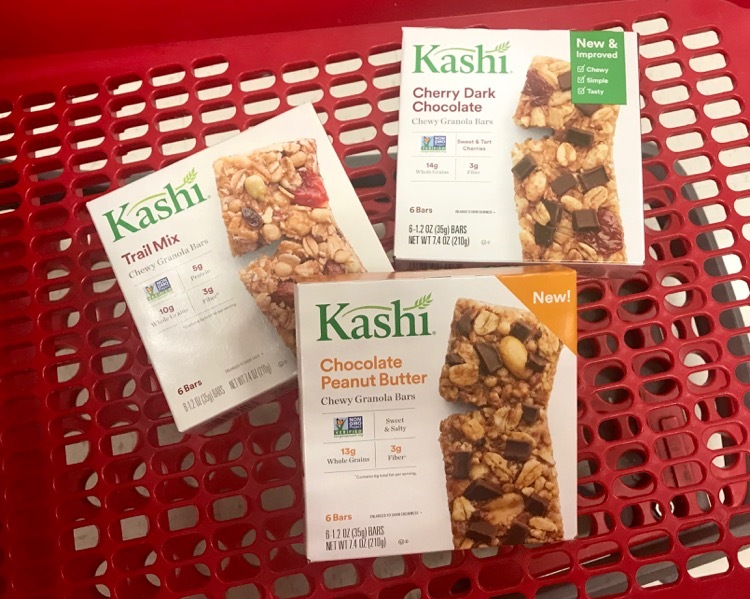 Target has a high value 35% off Cartwheel offer good on Kashi Bars (5 & 6 count varieties). 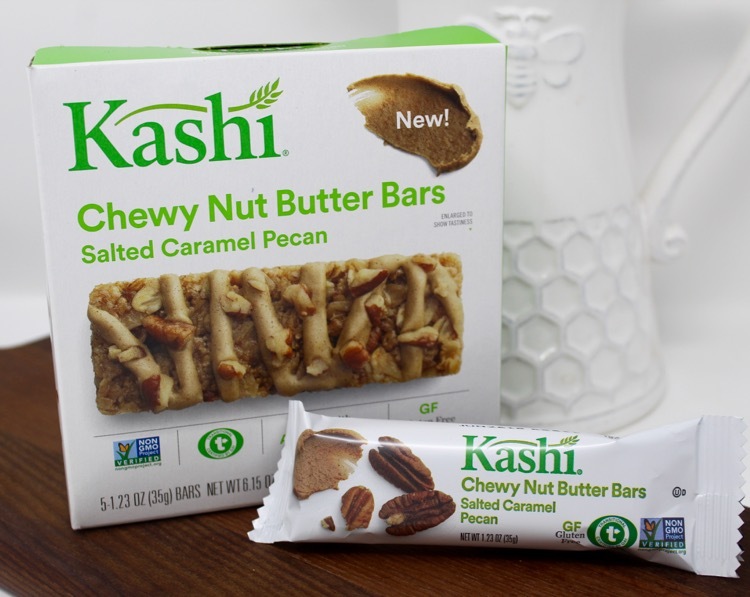 The Cartwheel offer does exclude the Kashi Chewy Nut Butter Bars, but there are tons of Kashi Bars to love. The Cartwheel offer is valid through 10/21/17.